i bought this lens yesterday for 5 euros..
it seems to be use only for macro..
with my shallow knowledge of old lenses, my guess will be some kind of enlarger lens ? 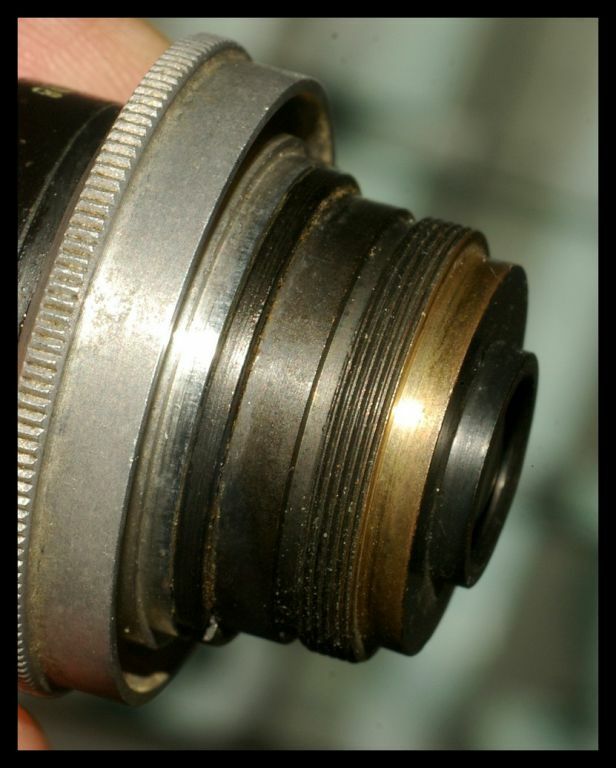 More likely an old movie camera lens. There's no scale in the photos, but the threads are probably either D-mount (8mm movie cams) or C-mount (16mm movie cams). B&H built both 8mm and 16mm movie cameras. 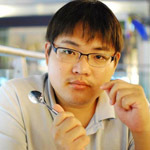 i think you are right because it is very small register distance. What can i do with this beauty? is bell howell good brand name? They just don't wear out. 50 and 60 year old cameras are still in use today. As for the lens, I'd say it's probably quite decent. 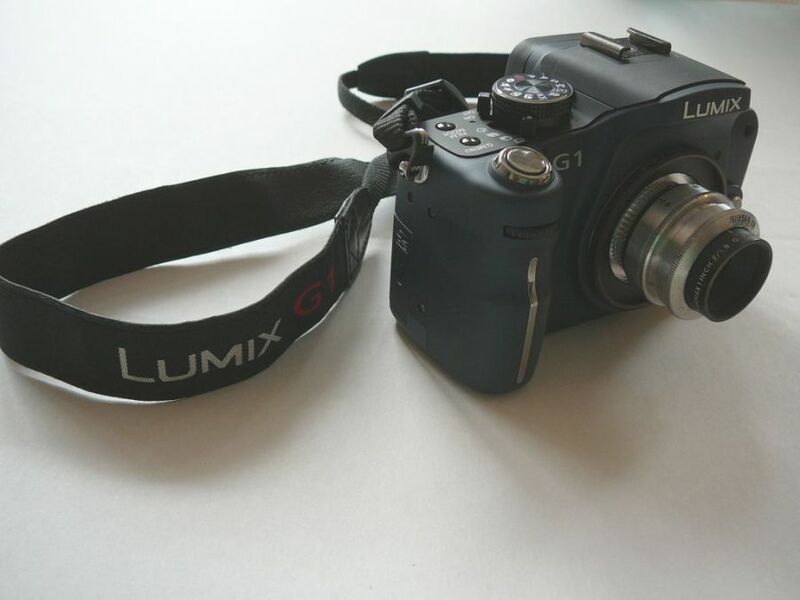 As for what you can do with it, well, it's a 1" f/1.9, or a 25mm f/1.9. One thing you can use it for is macro photography. Reverse the lens, drill a hole in a lens cap the same diameter as the front of the lens barrel, then cement the lens to the cap. 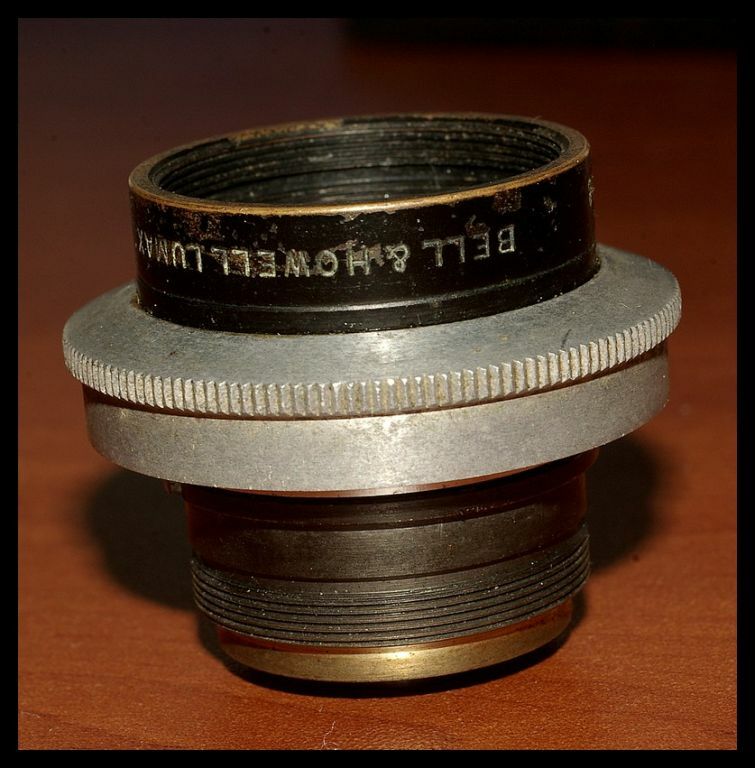 Attach the cap to your favorite macro lens and take very high magnification photographs. I have a D-mount Wollensak 1/2 inch (13mm) f/2.5 that I plan to do this with. Just holding the little lens to the front element of my Tamron 90 macro reveals magnification that one normally would see under a microscope. you are wonderful ..thank you my friend. 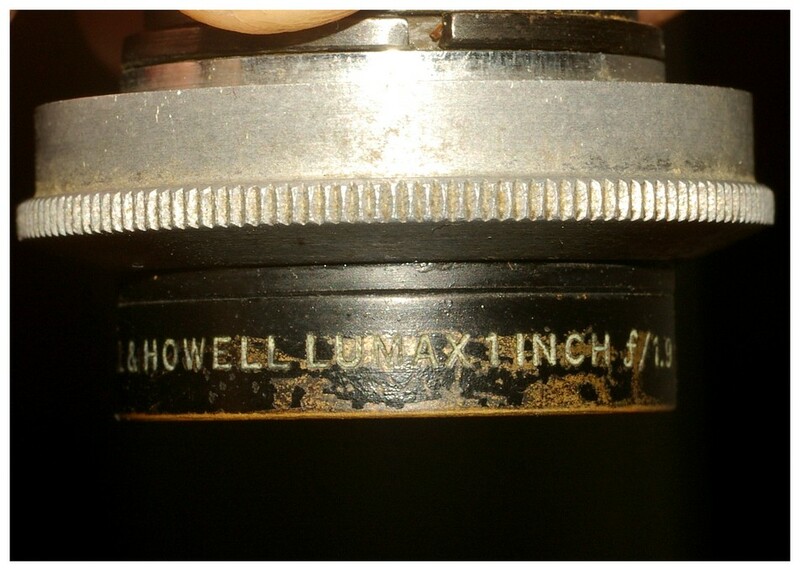 Bell&Howell was a very important maker of professional cine (movie) cameras. They also pretty much created the amateur movie camera market in the 1920's-1930's with the first cheap 8mm and 16mm cameras. 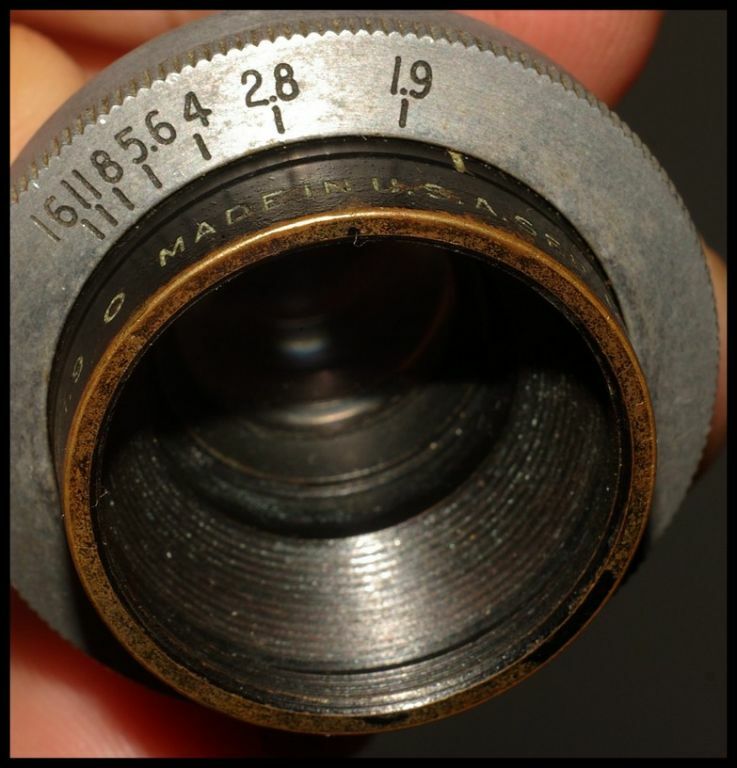 This lens you have is probably for one one of these 16mm's - it would be a "normal" on 16mm. I don't believe B&H actually made any lenses, the subcontracted the lot. In the case of 16mm cine lenses, it seems mostly to Cooke, which had and has a superb reputation. 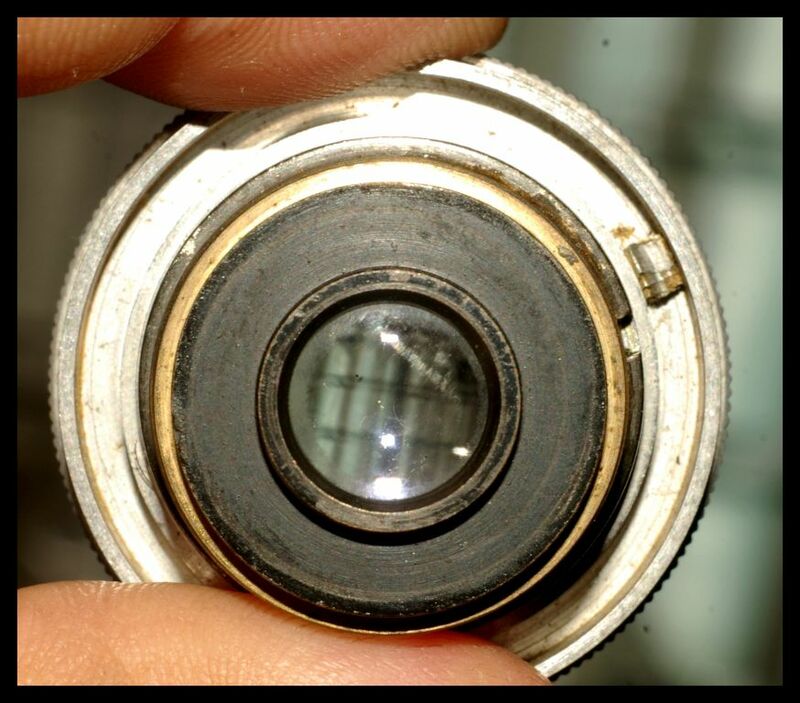 So your lens may be a Cooke. I know that others were made by Wollensak. B&H also made all sorts of specialized film equipment, scientific and military film products. Your lens lacks a focusing mechanism it seems. 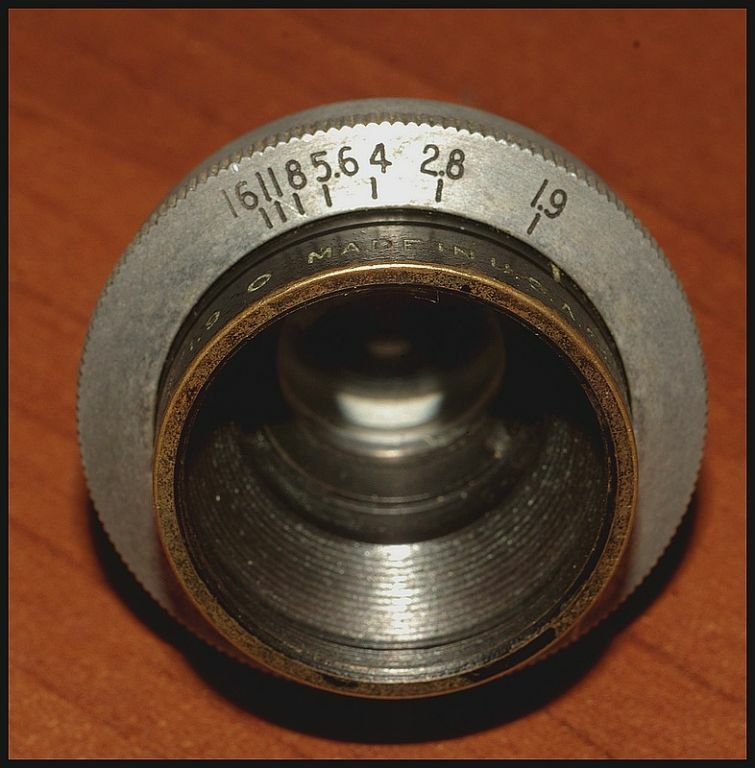 Perhaps it is just the lens head removed from its focusing barrel, or perhaps it was intended for a camera with on-camera focusing. 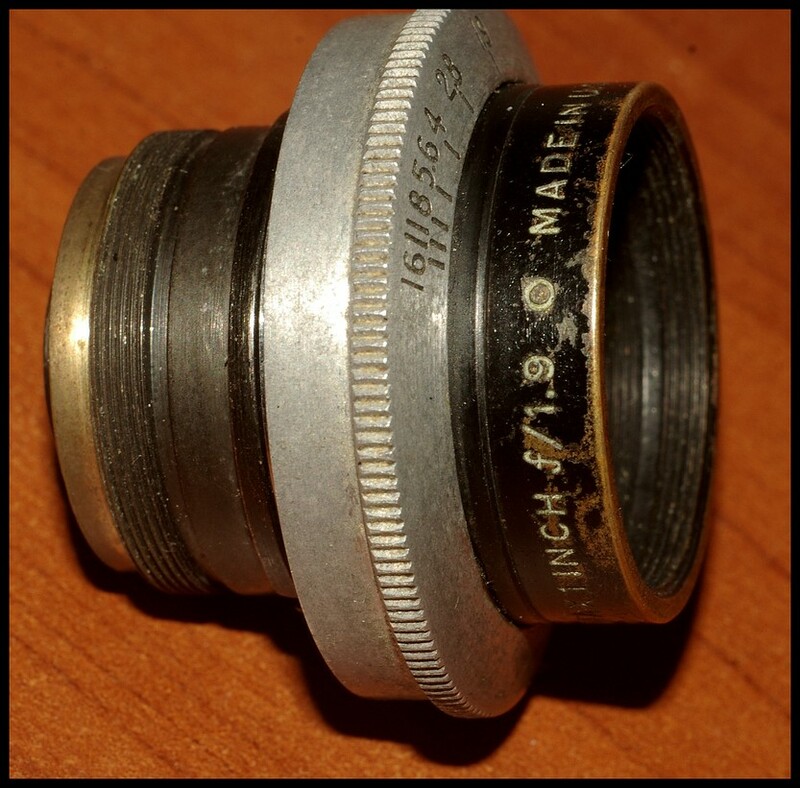 It is certainly a movie camera lens. This is a 16mm Film Camera "cine" c mount lens. Popular to use on Micro43 camera's using a C mount adapter. I own the same lens but then all parts on it. Saying so I think your lens is missing a part on the back. The photograpic results are gorgeous. If the lens was complete you would have made a very very good deal. Jerry's probably right. It does look like its missing a focusing barrel. 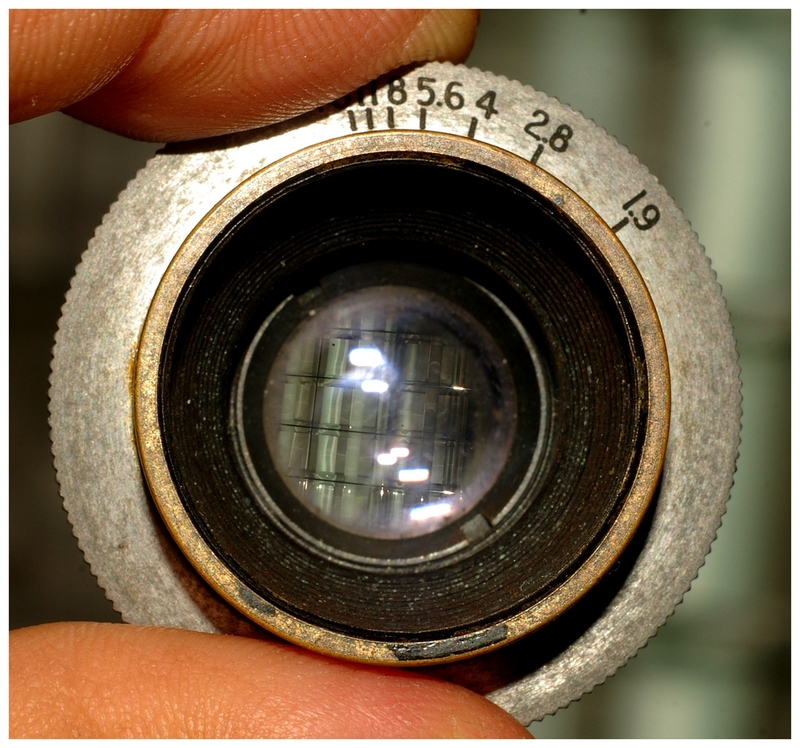 However, not all movie cam lenses have focusing units. The D-mount Wollensak I have that I mentioned above does not have one, and never did. Still, as I mentioned above, as long as it has all of its elements, it can still be used for macrophotography. Reverse the lens, and look through it at something. You'll get an idea of the sort of magnification you'll get. Probably won't be full frame, but it can still be fun to play with. Yes, sure you are missing the focussing barrel. But as cooltouch mentioned maybe you can you the lens in a reversed mount position for Macro purposes. You probably don't really need to mount it reversed. It could also go in a drilled body cap frontwise. It would be macro also, but less extreme. I have done this with 8mm cine lenses. BTW, in macro even an 8mm lens will cover the crop frame sensor. I think this depends on the lens. 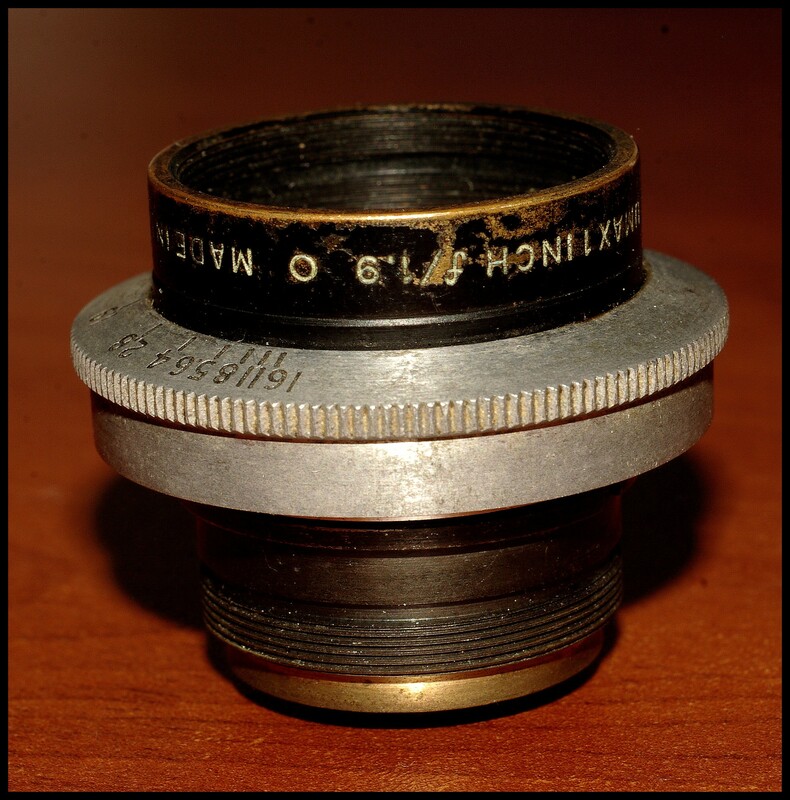 My 1/2" f/2.5 Wollensak is an 8mm cine lens, and I've tried it both ways just holding it against the front lens surface of my Tamron 90/2.5 macro. Straight, interestingly, it provides essentially no magnification. 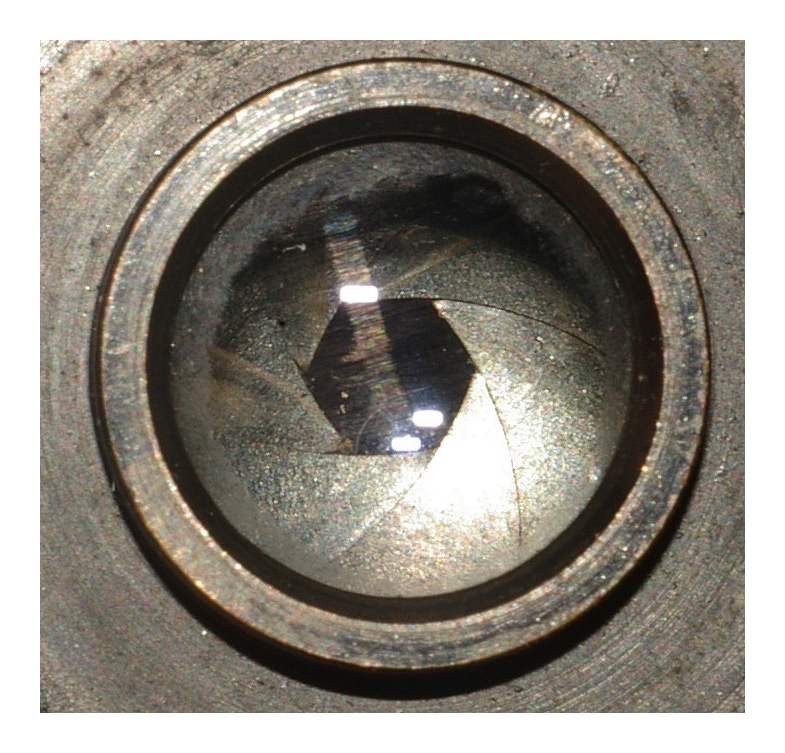 Reversed, it provides extremely high magnification, but the subject is just millimeters away from the lens. Also, straight, it provides a much higher angle of coverage than it does reversed.